Starring: Ed Speleers, Jeremy Irons, Sienna Guillory, Robert Carlyle, John Malkovich, Djimon Hounsou, Garrett Hedlund, Alun Armstrong, Joss Stone, Chris Egan, Gary Lewis. I enjoy a good fantastical story but I had avoided this one due to the bad things I’d heard of it. However, I eventually thought I should still give it go and see for myself. Seriously though, I wish I’d listened to the naysayers now. 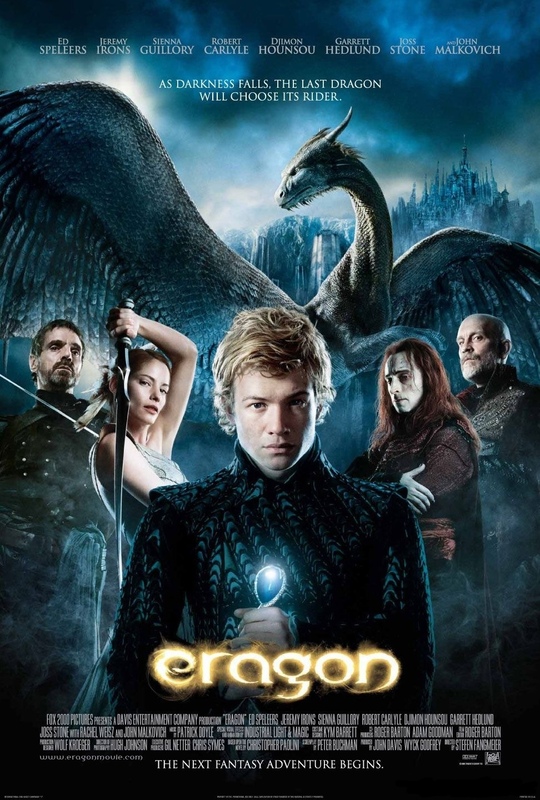 Young farmer Eragon (Ed Speleers) finds a dragon’s egg, and teams up with the newborn dragon, Saphira (voiced by Rachel Weisz), a former Dragon Rider (Jeremy Irons) and a female Elf (Sienna Guillory) to tackle an evil king (John Malkovich) and his shady accomplice (Robert Carlyle). Bad dialogue, bad acting, bad movie. 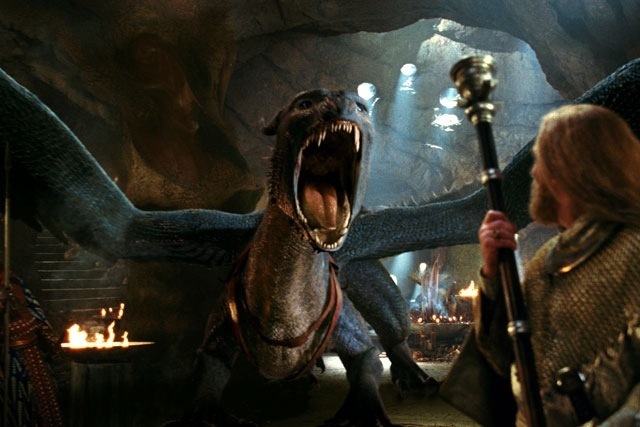 If your going to release a fantasy film these days then make sure it has some mileage, as “The Lord of the Rings” has set a very high benchmark. This was also based on a series of books by Christopher Paolini but it’s not even in the same league as some of the quality we’ve recently been spoiled with. Admittedly, I’ve never read the books, leaving me unsure as to how the adaptation should be but I do know this… the voice of the dragon was a bad move. It made no effort to even look like the dragon was communicating and just came across as cheap and insulting. Although some were impressed with the special effects, I didn’t find them to be anything special at all. Speelers doesn’t really cut it as the hero of the tale, lacking charisma and any form of acting ability and the rest of the cast seem perplexed. You get the impression from Irons and Malkovich that they know they’ve made a mistake with this one. The same goes for Carlyle but he still manages to deliver a decidedly nasty villian that’s way above this nonsense. Normally a fantasy yarn has something to hold your interest – no matter how poor – but it just goes to show there are exceptions to that. This is one, and quite possibly the definitive to those exceptions. The only positive that can be taken from this is that due to it’s box-office and critical failure, we will probably be spared the adaptations to the rest of the series. A very bad film indeed. This entry was posted on February 2, 2012 at 9:26 am and is filed under Action, Adventure, Family, Fantasy with tags 2006. You can follow any responses to this entry through the RSS 2.0 feed. You can leave a response, or trackback from your own site.